I read this for background on Boswell before I tackle his biography of Johnson, and was surprised at how much I enjoyed it. The young Boswell's writing skills are on again/off again, but still the writer to come is evident. 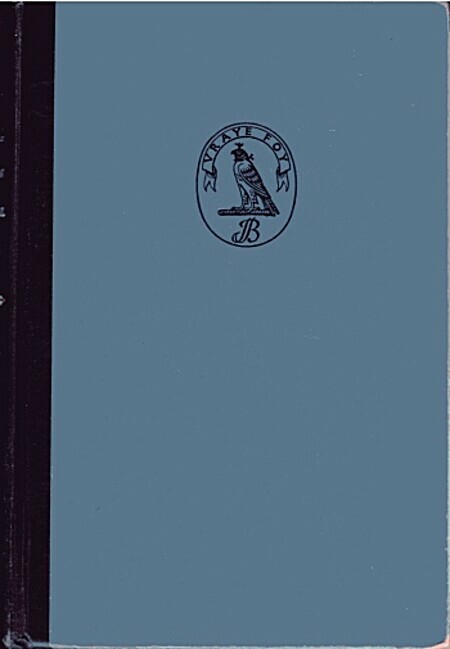 Boswell's London Journal outshines most any other journal you can read, and provides insight not only into the young (and maddeningly self-absorbed and trivial) Boswell, but also into a London culture that seems only remotely related to the 21st century western world. A must read for any Boswell fan,and a good read for anyone interested in late 18th century London society. Boswell is, as always, gloriously human and delightfully inconsistent. He's one of the few people in English literature who could, without seeming either priggish or hypocritical, recall with one hand up a woman's skirt that it's Sunday afternoon and there's still time to get to church. His descriptions of his various sexual adventures (which ensured this book an unusually large print-run for a scholarly text when it appeared in 1950) have an element of youthful bravado about them: the cool way he dismisses an encounter with a prostitute as we might a dinner in an unmemorable restaurant is almost certainly assumed for the benefit of the friend for whom he's writing this. But the constant assertions that he's never going to do it again are pure Boswell. This is the best known, but by no means the only, published journal of James Boswell. It is an excellent look into the mind of a slightly excentric, facetious and sometimes immature young man in the midst of London Society in the 1760s. Boswell was shockingly honest in his journals, but of course, they were never meant for actual publication. The journal is of some psychological interest, in as much as it gives a comprehensive picture of Boswell's mental state, but most of all it is entertaining and of immense historical value as we get first hand descriptions of famous historical characters and events. I only read as far as February 1763. At first it was interesting, some of his ramblings were amusing. But it soon descended into the egotistical spouting of an adolescent male. He tries on personalities and opinions like he would try on outfits. He is inordinately pleased with his "sexual prowess" and a big jerk towards the woman he uses. Boswell is one of my favorite authors because of his great work Life of Johnson. Reading the London journal provides a glimpse of the work to come much later. He can be vain and silly but he recognizes it in himself and at least he tries to improve. The journal is a good look at London life and London people from high to low. His descriptions are sharp and clear and his evaluations are good. An intimate look into the day-to-day life of an 18th Century gentleman. A surprisingly fast, enjoyable and captivating read.